Veteran singer and prominent celebrity endorser of Pres. 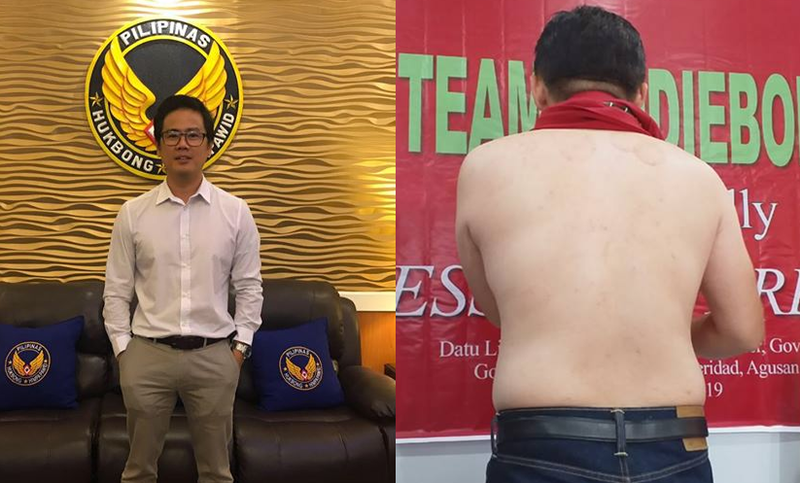 Rody Duterte, Jimmy Bondoc made headlines on social media after he slammed all the Anti-Duterte SocMed Team for spreading the controversial laser tattoo removal issue as their response to SAP Bong Go's alleged tattoo which was proven as fake news. According to Jimmy Bondoc he couldn't believe with the dumbness of the opposition SocMed team who raised the issue about the laser tattoo removal issue. This is in connection with the failed efforts of the Duterte critics to pin down SAP Bong Go by linking him with the Chinese Triad sporting a dragon tattoo. The popular singer and music composer Jimmy Bondoc stated that Bong Go will surely become a senator but the best attack the opposition could do is Dermatological in nature. tapos biglang may Laser Tattoo Removal na issue na susulpot? Bong Go will be a Senator soon. And the best attack that they could come up with is Dermatological in nature. Talagang pakupas na ang Dilaw. Don't try to convert your yellow friends anymore. Wag na rin kayo mag argue kung sino ang talagang Magic 12 ni Pangulo. Basta. Just tell all supporters to vote for anyone except Yellow.